Looking to make your own tea blend for your your shop, store, office, or have a custom tea blend on hand for a thoughtful gift for clients, customers, and friends? 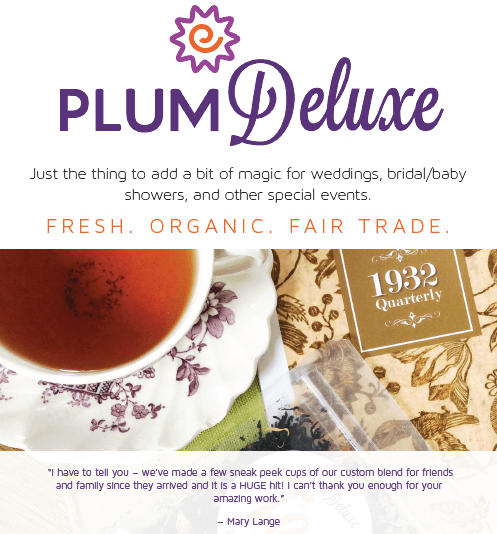 Then look no further than the handcrafted organic loose leaf teas from Plum Deluxe. – If you are looking for bulk tea or individually packed tea on a wholesale basis, please submit your information here. We have an entire wholesale catalogue flavor list separate from the main website, as well as the ability to create custom blends, and wholesale clients get access to a lot of special features to help your business be more successful. – If you’re looking for a one-time bulk order for a special event (like weddings, showers, or other gatherings), just use our contact form to share some info about your event and what you’re looking for. Unlike other tea companies, we don’t have a “stock” offering – we work with you to customize our skills and resources to make your event an experience you’ll never forget. – If you’re wanting a custom blend, again just use our contact form to start the conversation. 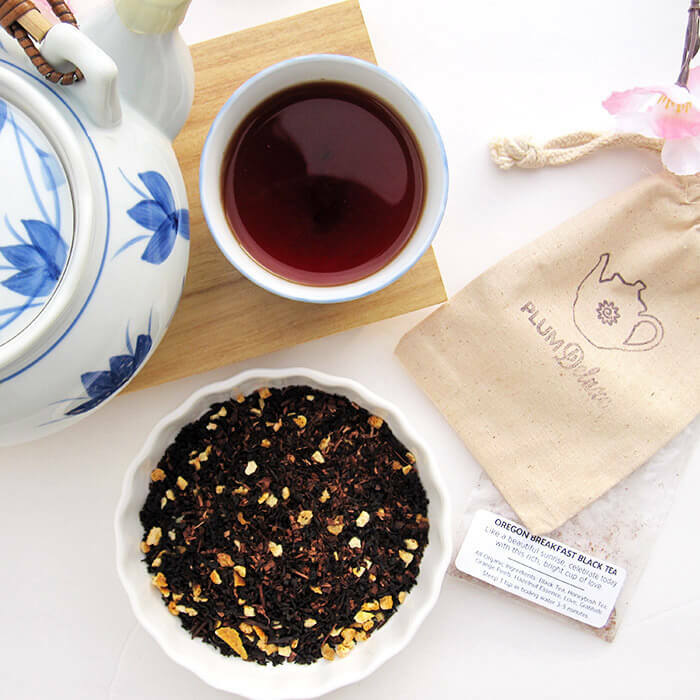 We love making custom tea blends and helping you make your own tea blend. Because we produce all products by hand in small batches, we are also able to customize or personalize your order to pretty much any requirements. To learn more about bulk/custom offerings, take a look at our bulk/custom tea overview (PDF).